When you can't choose between whiskey and beer. 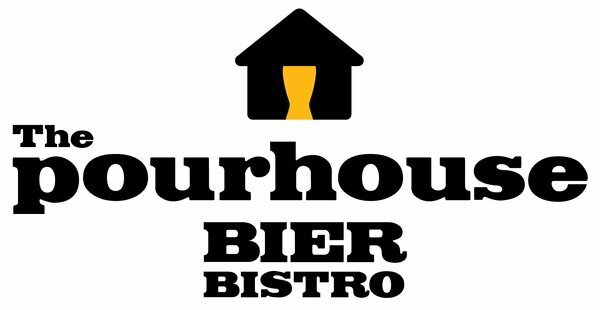 The Pourhouse Bier Bistro is one of my favorite places on in Edmonton to eat and drink. The casual ambience makes it the perfect location for an for an impromptu pint or a special get-together. There are always enough people for a lively atmosphere, but never so busy that one can’t find a table. The staff has always been friendly and attentive during my visits, and I am never disappointed. The menu focuses on gourmet pub grub, and offers some unique choices to pair with your beer. A Nathan’s Coney Island Original Hot Dog or a grilled bratwurst with wine sauerkraut is the perfect complement to a cold pint of lager. Spent grains from the brewing process are incorporated into a vegetarian burger for more health-conscious patrons. My one complaint is the lack of fries on the menu. However, this one deficiency is made up for by the quality of the Bistro Nachos, with fresh guacamole and tomato corn salsa made in-house. And of course, the beer list. Twenty-four lagers, twelve Ales, twelve Wheat beers, and five specialty brews are offered regularly, with another several draught varieties. Two taps are reserved for the offerings of local breweries. I was fortunate to have sampled the Whytemud Vanilla Whiskey Stout from Amber’s Brewing Company during my visit. 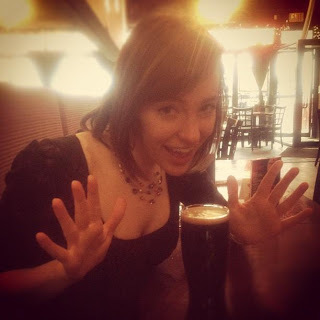 The Pourhouse also offers a unique beer cocktail. 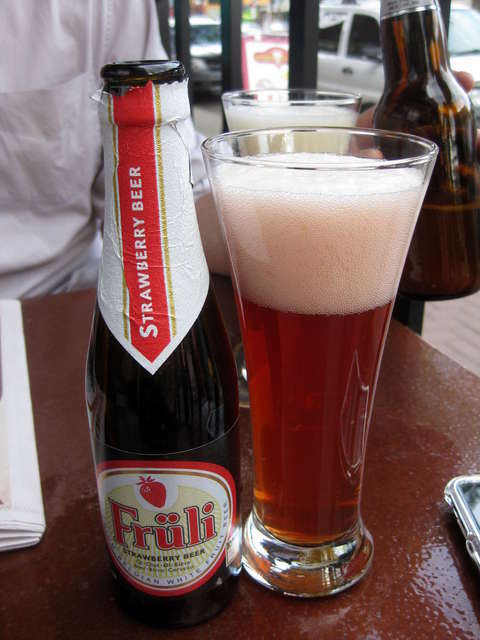 The “Strawberry Angel” is the more innocent younger sister of the “Dirty Hoe”, consisting of a bottle of Früli topped off with the zesty Blanche de Chambly. Try and order one with a straight face.